To register please contact aoife@hardwareassociation.ie. If you do not know your username, you can contact us by email aoife@hardwareassociation.ie or alternatively you can call us on 01 2980969 for further help. Aoife Walsh of Tom Smyth & Associates explains how training is an integral part to the success of businesses across all industries. Training has been known to improve employee engagement within workforces, as well as getting the most out of employees by improving their knowledge, skills and abilities (KSAs). This beneﬁts both the employee and the bottom line of their employer. To be able to provide the most effective training available to the Company, a Training Needs Analysis (TNA) should be conducted and a suitable training plan prepared prior to any training taking place. Conducting a TNA allows an employer to develop a relevant and effective training plan. It allows the organisation to identify any gaps in knowledge, skills and abilities. It allows an employer to focus their time and ﬁ nancial investment on relevant training that is deliberately identiﬁed as required to improve employees and consequently business performance. A few good ways to get started would be to gather relevant information from the current employees through questionnaires, interviews, observations, group discussions or focus groups, 360-degree feedback, or by analysing work diaries. Another option of gathering true data may be a mystery shopper, especially if the focus of the training plan may be on customer service and how the customer sees the store. A mystery shopper may highlight areas of improvement which may not be obvious to the employees or employer. One way of making sure that all areas are thoroughly assessed and meticulously prepared is by using an ADDIE Model. The ADDIE model consists of Analysis, Design, Development, Implementation and Evaluation of a creative plan for the training. It makes sure that all areas of the training are taken into consideration and carefully planned for. For the example below, we have selected safety training, but this can also apply to areas such as product knowledge, sales skills, customer service, dignity and respect at work, HR training, technology training, merchandising etc. A Hardware Retailer realises that they may need to conduct the recommended updated safety training. They may have realised that their training was not up to date or that some employees had never completed the safety training with them before. The next step will be the design of the training. Start at the end: what takeaways do you want/need employees to have. As our example updated safety training, all staff may need to take part, and the type and level of training may be theoretical, practical or mixed and all at the one level as its new to all employees. The company will also need to set out whether any assessment of the training will be written or practical. In this stage, the Company may decide how to assess the employees progress from the training and will have to evaluate how effective the training was and if it was successful and appropriate to the business. A questionnaire to the employees on how they found the training might be an idea to get information back about the training, or alternatively, the employer could include a question surrounding how they found the training in their next performance evaluation. Training can make a huge difference to the success of a business. It has a vast effect on employee morale and customer service, consistency and productivity and address any weaknesses that may negatively affect the business. Sean Cleary of Clearys Claims Managers outlines the crucial need for acquiring informed and effective insurance. Clearys Claims Managers have dealt with a number of large insurance claims in the Hardware Business over the years. The occurrence of a ﬁre, ﬂood or major loss of any type is a traumatic time for the business and its owners. As we all know, the ﬁnancial circumstances of a business become crystallised once a major loss has happened. What I mean by this is your ﬁnancial position, HR position, banking, Revenue, and most importantly your Insurance Policy covers are ﬁxed: i.e. you cannot change them after the event. I will highlight two issues that can cost a business dearly if not correct but are easily dealt with in advance. Both of these issues and the solutions we offer will pay for themselves over time in premium saving (and management time), but may save Major Losses in the event of a catastrophic incident. You do not get any beneﬁt from being over-insured and you waste premium. You also lose heavily in the under-insured area after a loss. We regularly see what could cost literally only hundreds of euros of premium (or even nothing) ending up costing you tens of thousands or hundreds of thousands of euros after a loss. Any rebuilding project in Ireland now with a planning application requirement is going to take a minimum of 12 months to complete. If your Business Interruption cover for example is at 50% of that required or for example covers your net proﬁ t rather than your gross proﬁ t, well, you do the math! Solution: Clearys Claims Managers will do a Policy Health Check for Hardware Association Ireland Members for an agreed rate of €200 with certain basic information and highlighted areas to address. We can also do a full Value at Risk Report on the entire risk. This will involve a site survey review of the entire business, disclosures to insurers, activity on site (e.g. be careful if you do any cutting or fabrication - even on a small scale) and review of your ﬁ nancials and projections. Are the ﬁgures correct in my Stock Control System? Many businesses in this area rely on EPOS Systems for their Stock Control, Inventory Management, Opening/Closing Stock ﬁgures for end of year, and so on. We are seeing that this may be an inadequate method of stock control on its own. This business practice relies heavily on the quality of the original set-up of the system and the ability and understanding of the users going forward. In all, success is intrinsically linked to the accuracy of use of the system and constant checking that it is correct. Your insurers may ﬁ nd signiﬁcant weaknesses in this method of Stock Management and its usefulness in relation to proving a loss after an event. A claim settlement under a Stock policy will pay on an Indemnity basis (as opposed to reinstatement in machinery or computers). The stock loss calculation will also involve questions of Obsolete Stock, Rebates and Discounts from suppliers, Pilferage or other causes of stock loss that may not be accounted for in the Electronic System and can signiﬁcantly affect the bottom line. Solution: We and our Stock Management partners Stocktaking.ie recommend a Certiﬁed Stock Take at least once every two years. This stock take will then be updated with the EPOS System and any errors identiﬁed and highlighted to the business owner. You will also have an audited independent cross check for your Accountants, Revenue and most importantly you the business owner, which will help you manage the Stock Managers and your training requirements and the quality and accuracy of the use of the computerised systems. 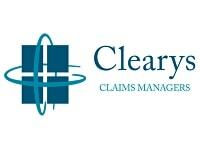 For more information, contact Esther Howe of Clearys Claims Managers on 091 709706. Tommy Smyth explains why the value of good HR practices can be underestimated. Many business owners and senior managers think that HR is nothing more than a bureaucratic paper trail. It is nice to give employees a few financial rewards or fluffy training courses but when it comes to it, HR is a cost to the business in terms of time and money. On the face of it, in pure black and white terms, it can be difficult for good HR practice to directly show a positive impact on the bottom line. But, if you bear with us through this article, we will highlight a few points we were taught at ‘HR school’ which will hopefully provide food for thought to all you non-believers! In a similar way to health and safety, if HR is being effective, it should look as though it’s not needed. If you have few industrial relations and employment law problems, this could be as a result of following good HR practice in your business. You never see the financial benefits of not having an unfair dismissals case brought against you, the fees not spent on solicitors, or the costs not incurred by having to repeatedly recruit for the same position. Good HR and industrial relations does affect the bottom line by avoiding unnecessary time lost and money spent managing through costly industrial relations and employment law issues. Employee training is usually a core part of the HR system. On the face of it, training takes up the employer’s time, effort and money. The cost of training can be easily calculated. robust HR policies can lead to reduced absenteeism. By carrying out a concise ‘return to work’ interview with an employee each time he/she is absent from work, you can often protect an employee from catching the dreaded ‘Mondaymorningitis’. If an employee has not been genuinely ill, they will not want to sit down with their manager to discuss their absence so it may encourage them to report for work on a more regular basis. Over the past two years, we have worked with numerous employers to put in place incentive schemes for colleagues or teams of colleagues such as store or department. This can be a bonus based on key performance indicators or commission on sales. The team incentive has proved very popular. You are incentivising the team to self-motivate themselves and each other to deliver results which are of benefit to them all. As an employer, you want employees to get paid more, because once your scheme is correctly calibrated, the more the employees get, the more you get. In 2017, we have seen the labour market heat up and many clients have anecdotally informed us of the difficulty they are having attracting and retaining colleagues. From the research we have undertaken for clients, for a large cohort of the population it is not just money they value in their employer. what other benefits does the employer offer – employee assistance programme, bonus, discounts, health insurance. Better, happier employees work harder for their employer. Better trained employees sell more for their employer. Employees who feel respected, respect their employer more. Better organised training and HR files make is easier to identify and quicker/cheaper to remove underperforming employees. Although at times the work can seem tedious, we encourage the implementation of detailed internal policies and procedures. Putting these in place can help avoid potential employee issues and reduces the possibility of an employee creating a successful case against you. Remember, the more HR procedures and records you can produce in times of query or dispute, the better placed you are to defend yourself. There may only ever be a dispute with 1% of your workforce, but we will always argue it’s worth ensuring 100% compliance to avoid the 1% costing you a lot of money and time. Disagree with us? Let us know. We welcome your feedback at 021 4634154. Tommy Smyth is Managing Director of Tom Smyth & Associates, a HR consultancy, established in 1991, which, in association with HAI, gives Irish employers practical advice on HR, industrial relations and employment law issues.